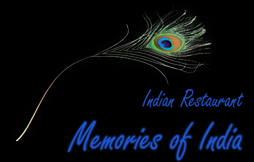 Memories of India invites you to enjoy the splendid hospitality that we have been providing for nearly two decades. We promise to take you on a journey to discover the authentic Indian cuisine. Although our restaurant has a capacity of 80 seats, we recommend making timely reservations to avoid disappointments. Feel free to contact us using the following details, or leave a message so that we can contact you.